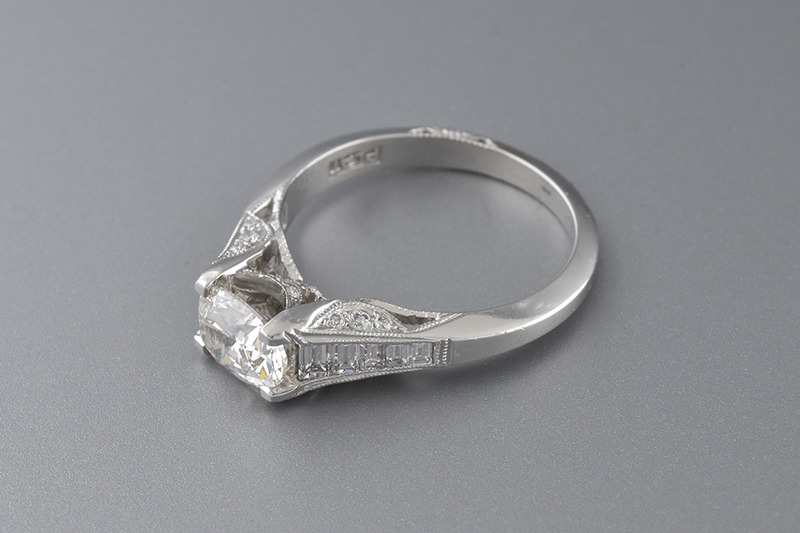 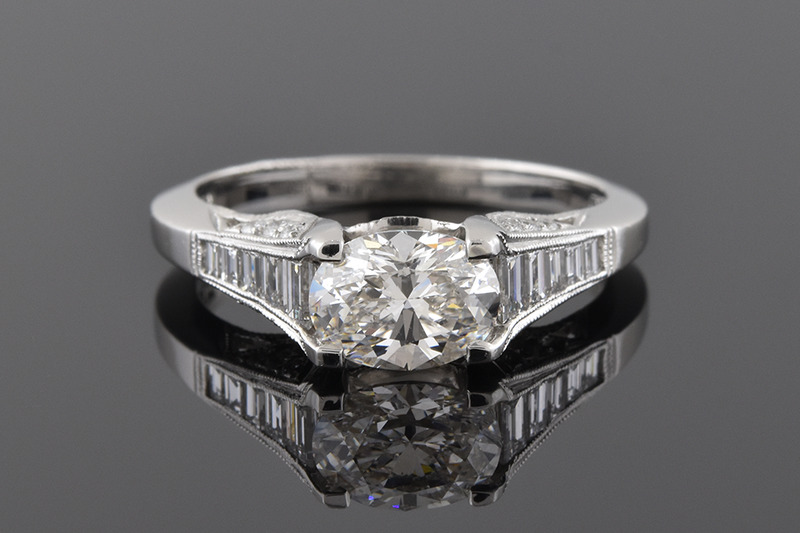 Long feminine curves accent an oval cut diamond that has a weight of 1.00 carat. 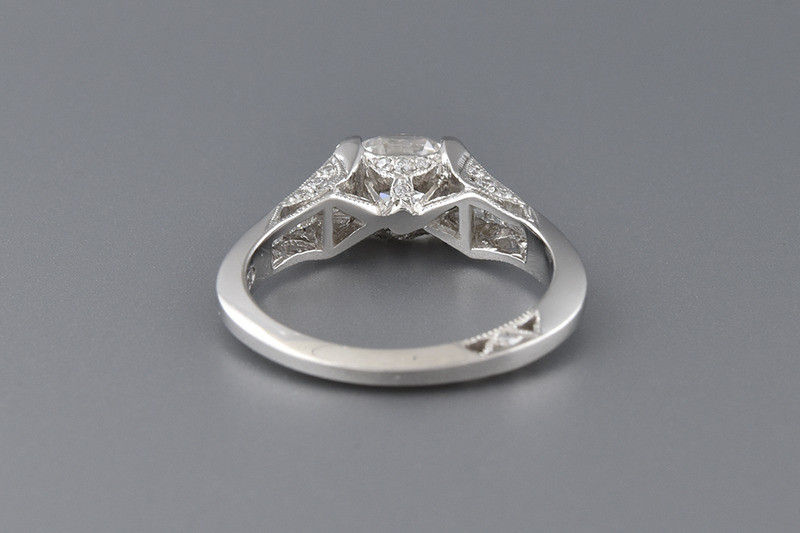 This diamond has a color grade of G and a clarity grade of VS(2). 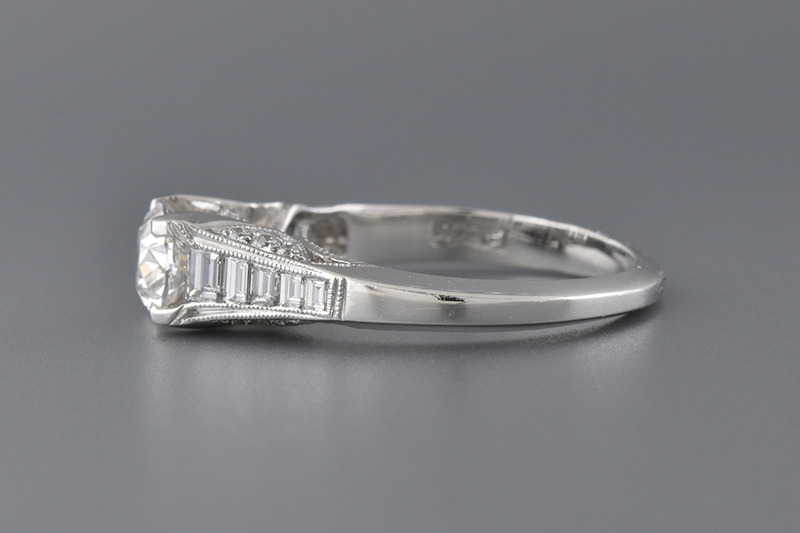 Ten baguette cut diamonds and 22 round brilliant cut diamonds accent the center with a combined weight of approximately .70 carat total weight.